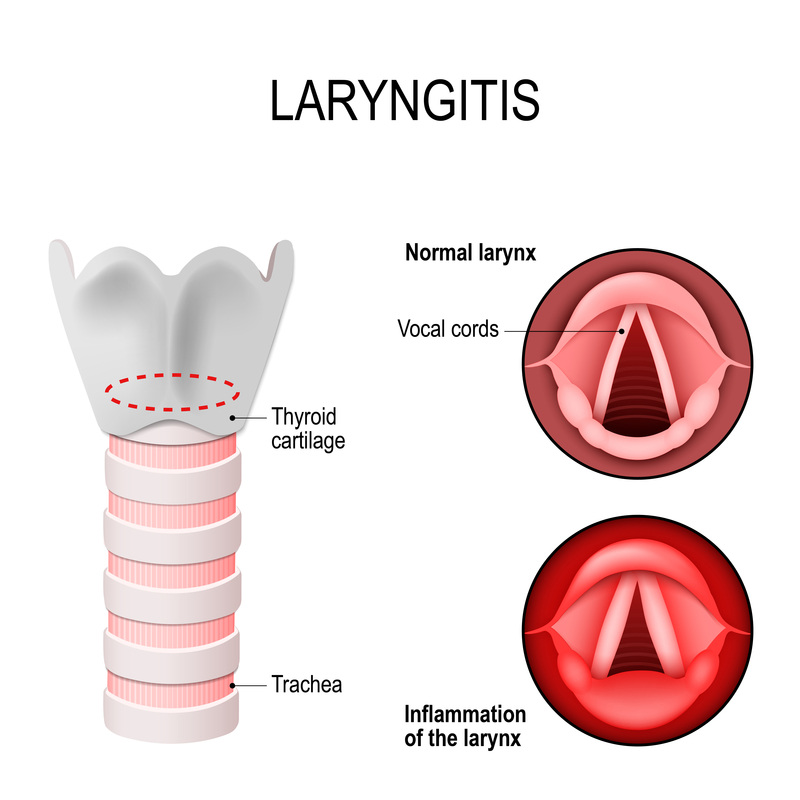 Laryngitis is an inflammation or infection of the voice box (larynx) and the vocal cords it contains. Laryngitis makes the vocal cords swell, changing the way they vibrate and the sound of the voice. Depending on the degree of swelling, the voice may become mildly hoarse, turn into a croak or whisper or even disappear temporarily. Laryngitis often occurs along with a viral infection, such as a cold or flu. Hoarseness tends to appear later in the illness, after the sore throat, sneezing, coughing and other symptoms. Bacterial infections of the breathing tubes (bronchitis) or lung (pneumonia) also can infect the larynx and cause laryngitis. And laryngitis can occur when the vocal cords are inflamed by straining the voice, such as when yelling or singing very hard.